We go through a lot of salsa in our house. This time of year I simply can't make myself buy it at the store. Not when we've got a tomato jungle in our backyard! When I saw organic peaches on sale for $1.99 a pound, I couldn't resist stocking up. 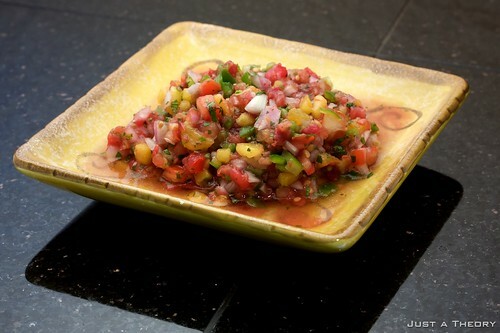 The result, actually made by David this time, was a delicious peach salsa fresca. This batch lasted about 24 hours in our fridge before it was gone. I'm thinking I need to get some made and canned for those long, dreary winter months when fresh peaches are a distant memory. I'll pay for a big mason jar full of peach salsa! I'll even bring the jar! great site with good articles and set out like my salsa dancing site.